The changes, made following a change in the pay-on-entry system and designed to reduce queues, were reportedly the subject of heated discussion at the Owl public house. There are complaints that no consultations have been held with residents. It was not known whether the urban-style development required planning permission but no advance notice had been given. In fact, the management of the car park has been contracted out by Rother District Council to Smart Parking Ltd, a global company head-quartered in Australia. Their website claims that they “make car-parking a stress free experience”. They also claim to be entitled to charge fines of up to £100 for overstaying time, enforced by overhead CCTV at the car park entrance. The number of meters out of order, the need to enter car registration numbers, the non-availability of small change and the necessity to bear in mind the stipulated departure time could all be factors likely to affect the enjoyment of visitors to Camber Sands. A local visitor from nearby Rye said, “I have found the previous method of buying a ticket on entry to be a friendly and human experience, and effective in raising revenue directly for the Council. This new regime is considered hostile and inimical in a rural environment”. To Jean and Charles Cary, A car park is not a safe place to allow your grand children to play in, regardless of the new signage. Might I recommend Jubilee Green and Johnson’s Field instead? The queues that build up in the summer are regular and impact all traffic including public transport. The queue is regularly as far back as Rye Watersports, and has even been as far back as the A259 causing a knock on effect in Rye itself. Regardless as to how ‘human’ it is to buy a ticket from a person instead of a machine, this system is long overdue and totally necessary. I am sure that the staff who had to sit in those little boxes in the sweltering heat are equally as glad. Stagecoach were going to abandon the bus service through Camber in the peak season because the delays were so bad. Children have always played in the car park on their way to and from the beach. Families picnic and barbecue there. There are two public lavatories and a popular cafe and beach shop with people milling around all day. Visitors do not go straight to the beach and stay there. The huge signs are unstable and a Health and Safety hazard to all. Some of them have already blown over. They are also a dreadful eyesore. There are over seventy of them. The pay machines have yet to endure a very high wind which will bring sand from the beach, clog up the machines and cause chaos. Having lived in Camber for over 20 years (we moved to Rye 5 years ago) I remember well the awful traffic problems relating to this car park. Now the cars can drive in without holding up all other road users. The problem appears to be the huge amount of signage. Was this amount if signs real necessary? As to Jean and Charles Cary. I agree the car park is definitely not the place for your grandchildren to play. As you are not residents but just holiday home owners the problems with the blocked roads etc probably have affected you as much as residents. 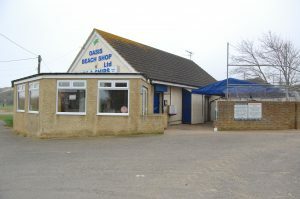 We have owned our house in Camber for over twenty years. During that time we have constantly seen local and visiting children playing in the green field known as the Western Carpark. Most of the year there are no cars at all. I’m sure we all agree that children (even the children of visitors), dog walkers and anyone using the field for picnics or barbecues should be able to do so safely. The field was formerly part of the golf club and was, in fact, the furthest hole from the clubhouse. It was always a field and is an important area of open space due to its proximity to the dunes. Let’s keep it that way. Everyone we have spoken to locally says that the signage is unnecessary and dangerous and that the new method of payment will cause even worse traffic jams. Unfortunately I don’t think that whatever is done to the car park(s) it will have any impact on those who won’t pay for parking and deem it is appropriate to park on pavements, across drives and anywhere they feel like thus restricting access for residents and emergency services. Not to mention leaving their rubbish, dirty nappies, bottles etc all over the place. There is no parking enforcement in the village (all the discussions seem to be about Rye)and it seems we are just expected to put up with it. Like the other comments above – I wonder why someone is letting children play in the car park – there are 2 fields and a huge beach! I could not believe this car park when I first saw it I thought it was a practical joke. What is the point of so many ugly metal post so close together all with the same signage how can planning allow this awful site to excist in a coastal setting? We paid the right amount and returned to our car in the time allowed! Have received a £100 fine today ! Putting a nasty feeling about visiting Camber again! Such a shame ! Avoid this car park it’s a money making scam ! I have also just received a parking fine. I bought an appropriate parking ticket and have been unable to contact ‘Smart Parking’ for an explanation. Difficult to appeal when you are not aware of why you have a Parking Charge Notice Number’. Spent my childhood enjoying the ‘sands at Camber but won’t be returning, ever ! With seemingly endless complaints from visitors who access the western car park about Smart Parking, and their reluctance to act accordingly to the visitors complaints, surely it’s up to the Landlord Rother District Council to intervene, our are they quite happy to see visitors ripped off, and once they cease coming, the only loser will be the council. The parking company can not impose a ‘fine’, it can only seek to levy a penalty charge. If the company has not included contact information (unlikely) then there is anyway no way for the motorist to pay the charge! If the correct fee was paid and the driver returned within the period covered by the fee then why on earth would anyone pay £100, or such other amount demanded? It’s a mystery. Stay away from this car park at all costs! I got 2 fines for £60 when I parked there and I bought a ticket! I just don’t understand why anyone would pay a penalty charge (it’s not a fine) if they had purchased a ticket and parked for the appropriate period. Surely one would challenge it and if the charge was upheld then a valid reason would be provided by the parking company. If the reason is considered not valid then there is an appeals process. I realise of course that the parking company can be very tricky to deal with, but I am horrified at the number of people on this site who have said that they paid up even though they had paid and parked “correctly “. Not everyone is resolute enough to challenge these abominations and this should surely send a message to Rother that (a) the parking instructions and procedures are set up to “trap” the motorist, the majority of whom are prepared to act in an honest manner, (b) this is souring the relationship between Rother and the community and (c) is blighting the reputation Camber has with its many visitors. Wasn’t sure how long we would need so I bought a 3 hour parking ticket £5.00, had a great time on the beach, time was running short so I bought an additional 1 hour ticket £1.50. Thought the parking was a bit expensive but paid any way. 2 weeks later I receive a parking fine from Smart parking. £60 within 14 days then £100. They have not stated what the contravention was just a picture of my number plate on arrival and departure. Total time at the car park less than 4 hours but I paid for 4 hours. You can appeal but you need evidence – the tickets – who keeps an old car park ticket for 2 weeks! Why are Smart Parking so keen to show you a recent High Court ruling that went their way! These people are running an extortion racket. Don’t go to Camber. All of you, wherever you live, get on to your MP. I am in touch with mine and he is making representations to the Department for Transport. You Rye people have got Amber Rudd! That’s got to be clout! If we all get together, with our evidence, we can demonstrate just how much of an extortion racket this is…and shame Rother District Council into examining how much damage and ill-will Smart Parking are creating. And is it in any way solving the traffic problems? I am not local so I don’t know, but surely simply removing the entry barrier was about all that was needed. All over the country there are systems where cars are photographed as they enter, the departing driver pays the required fee by putting the registration number into a machine which issues the ticket which lifts the exit barrier. Simple and fair. Or does anyone think differently? The payment machine has to take credit/debit cards, even notes. Five pounds is a fair bit of silver to happen to have on your person. And not everyone has a smart phone to do the paying. There does seem to be something very suspicious going on with this car parking company. I too,like others, purchased a ticket from the pay & display machine. I displayed my ticket on my car windscreen for the whole time I was parked. 11 days after my parking I have received a PCN from this company . The penalty is £60.00 with the amount increasing to £100.00 if not paid in 14days (11days already taken up with the apparent issue delay!) . I still have the ticket from the pay & display machine showing clearly my reg number , time & fee paid. I did not breach the advertised terms and conditions of parking & yet I am sent this notice! I will have to pay on line to prevent the penalty charge increasing to £100.00 & then appeal. Still having the paid parking ticket in my possession might well be something this dreadful company were hoping customers would not have kept after ,I suspect,the deliberate delay in the PCN issue. Camber Sands is beautiful & would be somewhere I would like to return, I had travelled from London to visit BUT this is very unlikely to be repeated after experiencing this level of blatant scamming. It’s a shame the National Trust can’t take over the parking situation, thus making it fair, legal & quite frankly a much better place for this revenue to be deposited ! It wouldn’t be the first time a car parking firm were prosecuted for extorting money. I agree with Mike Walker, earlier post, I will take this up with my MP. I don’t use this car park but I understand a camera photographs your number plate as you drive in and again as you drive out, and the parking time is calculated as the difference between those times. So if you drive in at 10.00 and buy your ticket at 10.10 (the time printed on the ticket), get back to your car at 11.10 and drive out at 11.20, you will be recorded as having been there for 80 minutes, not 60. Is that how users are being caught out and (quite frankly) fleeced? Is there any chance that Rother District Council, being responsible for this situation, could possibly provide a comment? They are surely answerable to those they represent? I admit we got a ticket for overstaying, and we did because we made the mistake of spending too long in the bathroom and waiting for food in the café, not actually having fun on the beach!. Had I know this would result in a parking fine, we would have driven straight out. We won’t be coming back, we’ll stick to other welcoming resorts. We have just been done by this scam. We appealed which was denied. They state we had not paid but we paid for 1 hour just to have a walk. We like many others do not keep old parking tickets and they build this into their model designed to fleece the uninformed. There are no signs that the parking time is calculated from entry to exit without time to buy a ticket or exit the car park. They have not provided the evidence from the machine P1 that we paid and entered our registration number into. They say we had not paid but we did and of course by them saying we had not paid they are actually saying they have no record on their machine. We checked the machine the day we received the PCN and the machine was covered as out of order. How very convenient. It is highly likely that that many vehicles will exit a few minutes over the camera time but like us within the ticket machine time as it is not synchronised with the gate cameras. This is unethical and abhorrent and does not justify the issuance of a £60 parking levy. Somebody at Rother District Council needs to be held accountable for this scam. Who has been on the take here. To Richard, we were scammed in the same way, and they refused our appeal, go to POPLA and appeal it. Use Money saving expert website they have lots of templates and information to use. We won our appeal with the help of their templates – mention signage, the data capture of your car etc, we used three or four points from the website templates and then asked for evidence that the machines were recording payments on that day during the hour we were parked. Thats how you win against them, its time consuming but you will see many others win if they follow the advice on that website, its a fantastic help. 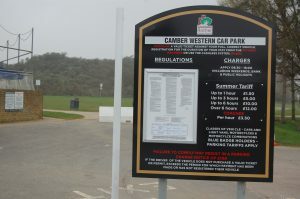 I shall be visiting Camber next week and am very concerned that I may get a penalty charge even though I would use the car park for the allotted time paid for. 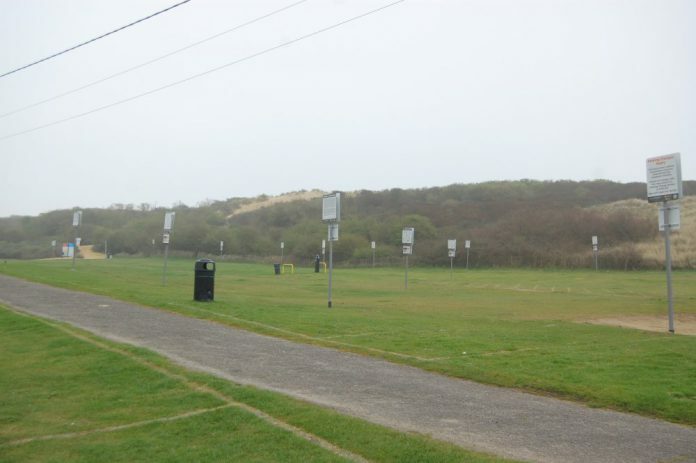 Is the main Camber Sands beach car park also a problem or just the field car park? And are we saying that I should ignore the time on the parking ticket, make a note of the time I drive into the car park and ensure I leave the car park (not just the parking space) within the allotted time? Are people still being scammed in April 2019 with apparent overstays and unsynchronised clocks on the entry/exit cameras and ticket machine? Do appeal to POPLA if your fine is unfair, as it is apparent that Smart Parking automatically reject every appeal sent direct to them. We appealed successfully, but I could have done without the waste of time and stress caused. Our charity minibus was fined without even entering the car park, their own photo clearly showed the barriers were closed, so we were exonerated based on their own evidence! But this has frightened us off using the beach with school kids, after 40 years of visiting every week, as it is too stressful trying to rush a large group of kids off the beach to avoid going over your time.